Helitack crews are teams of firefighters who are transported by helicopter to wildfires. Helitack stands for “helicopter-delivered fire resources,” and is the system of managing and utilizing choppers and their crews to assault wildfires as a first spear firefighting attack. Because of the manuevaribility of helicopters, Helitack teams can rappel into the heart of unruly blazes and use their vehicles broad accesibility to penetrate and control areas unreachable by ground crews. Helitack crews may land near a wildfire or, if equipped and trained, rappel from a hovering helicopter. 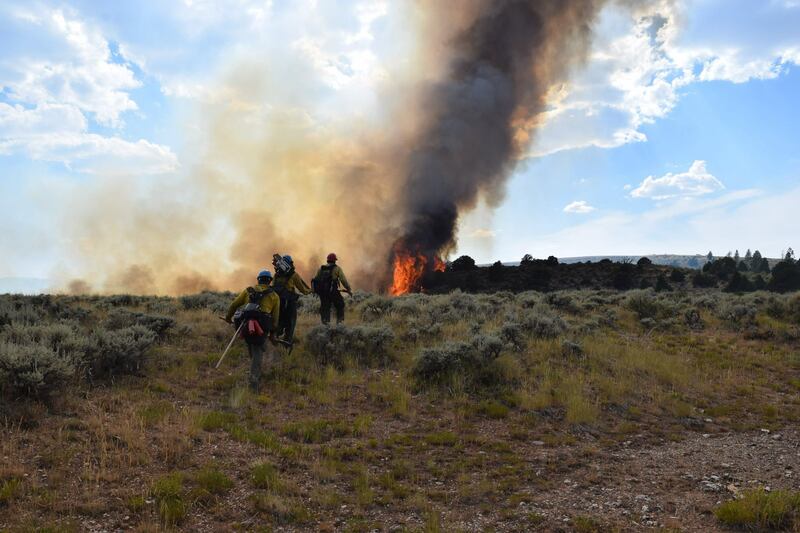 Once on the ground, crews build firelines using hand tools, chainsaws, and other firefighting tools. They often remain overnight in remote locations. After they have completed their assignment, crew members may pack up to 120 pounds of equipment over difficult terrain to reach a pick-up point. Rappellers often prepare helispots (helicopter landing zones) that provide better access to a fire. Helicopter crew members may also perform other duties such as tree falling, firing operations, delivering people and equipment, and managing helibases. DFPC currently operates 2 Type II standard category aircraft, both staffed by DFPC helitack crews located in Cañon City and Montrose, Colorado. Between June 1 and August 1, 2018, the helicopters have flown over 100 missions and dropped over 350,000 gallons of water helping fires throughout Colorado.